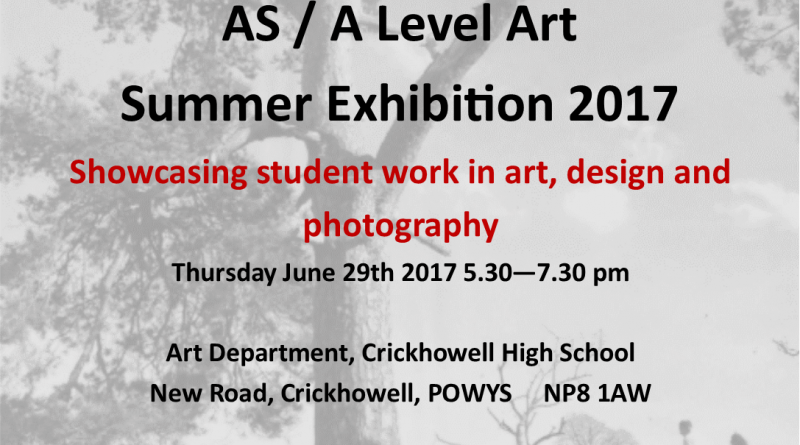 Crickhowell High School AS / A Level Summer Art Exhibition coming soon. Open to the public. Don’t miss the only opportunity to see the wonderful work our talented students have produced. Visit the Art Department on Thursday 29th June at 5.30 pm.